Det første kortet fant jeg ut at passet godt til utfordringen hos I ♥ ProMarkers Challenge, hvor vi skulle benytte "Icy colours". Motivet er selvfølgelig fargelagt med ProMarkers og er fra Flower Soft, kalt "Moments in time". Lovely image Jeanette and a great card. Thanks for joining us this week at I ♥ Promarkers. 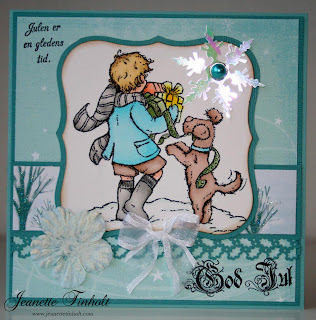 Really lovely Jeanette, love the image and your icy colours, thanks for joining us at I ♥ ProMarkers. This is a lovely card. Adorable image. Thanks for taking part at I ♥ Promarkers this week. Love this card, fabulous image and that holly border is really effective. Thanks for playing along with us on I ♥ Promarkers this week. 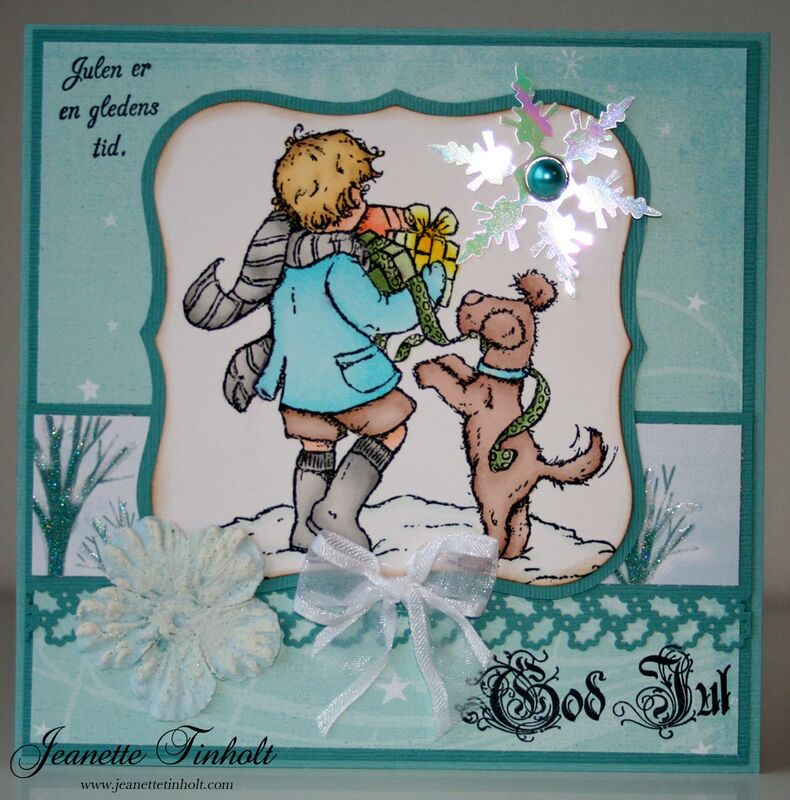 A gorgeous card, fab image and snowflakes. Thanks for joining us at I ♥ ProMarkers.